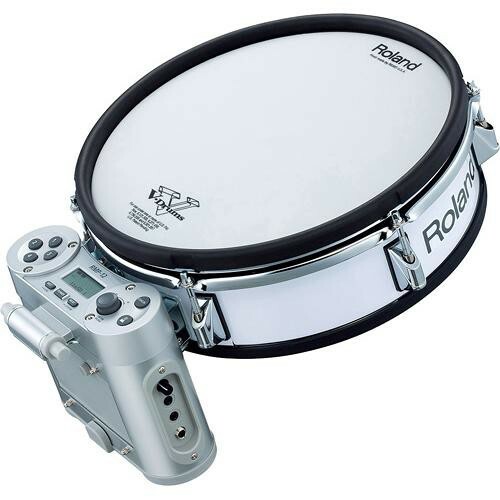 The Roland RMP-12 Rhythm Coach can be used for any drumming application with its multi-layer mesh head and rim triggering capabilities. Access over 128 realistic sounds for solo or ensemble playing plus use the integrated Rhythm Coach to hone your metronomic or dynamic skills. With its lightweight, battery-powered design, the RMP-12 can be mounted on standard marching drum carriers for use with wireless transmitters for freedom of movement. Practice with your own monitor or plug in headphones for silent play. Box Dimensions (LxWxH) 19.5 x 16.5 x 10.0"